Local MP, Alison Thewliss, last week visited Glasgow Vaults which is based in Pollokshields. The Vaults were formally opened in February 2016 by local MSP and First Minister, Nicola Sturgeon. It is the only independent safe deposit box facility in the whole of Scotland and provides a number of excellent facilities, including 24 hour access as well as bilingual staff. 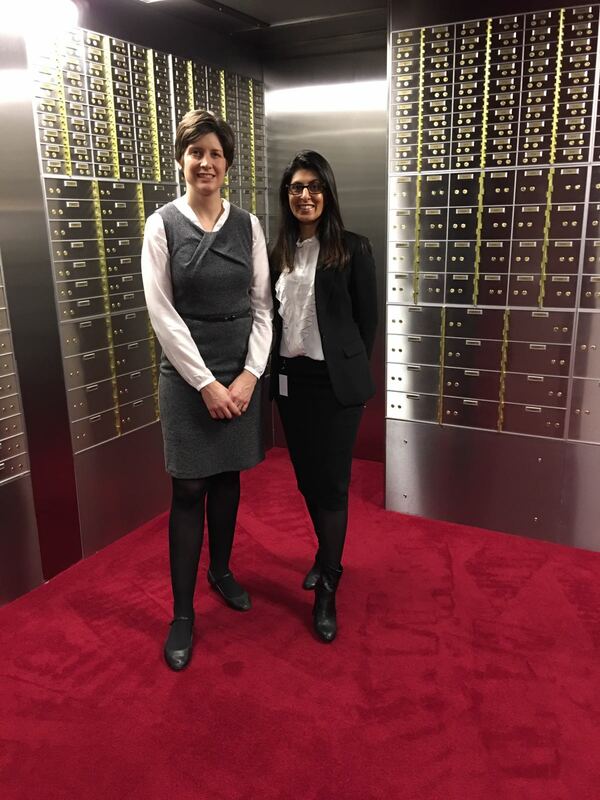 “I am so grateful to the Manager of Glasgow Vaults, Nazia Ramzan, for taking the time to give me a tour of the business last week. It was absolutely fascinating to see the vaults and I was really impressed about the security in place. “Some people may previously have relied on banks for a safety deposit facility; sadly with so many high street banks cutting back on local branches, that is less of an option now. People may still wish the reassurance of a safe, secure place to keep important documents or valuables, and Glasgow Vaults seek to fill that gap in provision.